Ted Cruz picked up 14 delegates at Wyoming's state convention Saturday - all that were available. 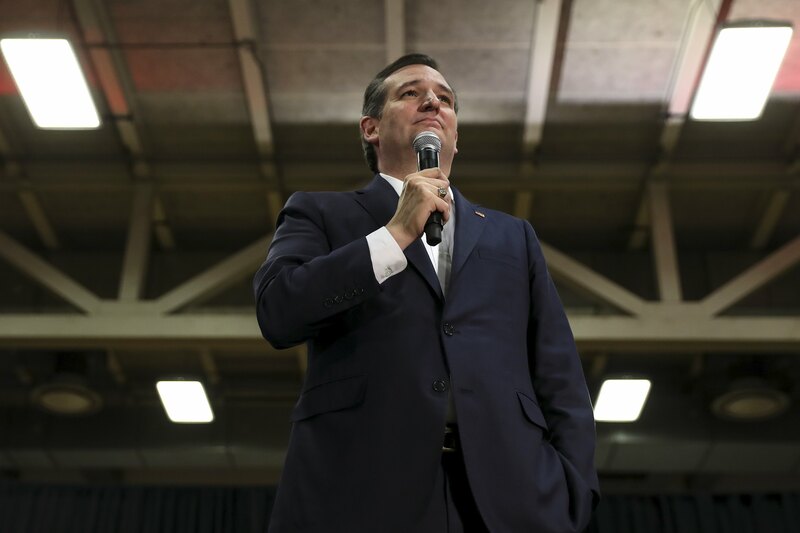 Cruz had previously won nine delegates in the state's county conventions in March. The Texas senator diligently courted delegates in Wyoming this weekend, the only candidate to do so. Former vice presidential candidate Sarah Palin, a surrogate for Cruz rival Donald Trump, was scheduled to speak in the state this week but eventually cancelled. "We had a tremendous show of grassroots support that resulted in a critical victory at today's Wyoming Republican Convention," Cruz said in a statement Saturday. "This victory continues a momentum shift that started in Utah and carried through Wisconsin, North Dakota and Colorado." "Grassroots are rising up," Cruz noted, without mentioning the current GOP front-runner. "Republicans overwhelmingly elected delegates who will support us at the national convention and nominate us to take on Hillary Clinton." Wyoming has a total of 29 delegates, with three going to the Republican national convention unpledged. Cruz now stands at 23 delegates, with Trump and former candidate Marco Rubio notching just one Wyoming delegate. One is left undeclared. Including Wyoming, CBS News' delegate estimate is as follows: Trump has 755, Cruz has 554, and Ohio Gov. John Kasich has 143. In order to lock down the GOP nomination, a candidate must win over 1,237 delegates by the July convention in Cleveland.